The Cheltenham Festival will this year comprise of 28 races after it was confirmed that for the first time a Mares Novices' Hurdle will slot into the four-day extravaganza. Added to the already existing Grade One OLBG Mares' Hurdle on the opening afternoon, the new race will ensure that mares are assured of plenty of limelight come festival time in March. It was, unforgettably, the mare Annie Power that sent shrieks around Prestbury Park last March when she spread-eagled on the floor underneath Ruby Walsh having seemingly been about to bring up a Willie Mullins four-timer on the first day that would have cost the bookies millions. This year, Mullins and powerful owner Rich Ricci are set to be double-handed with their talented mare now on track to return to the Cotswolds in March and another mare, Vroum Vroum Mag, quickly becoming an intriguing festival contender in her own right. The New Year is always a time when horse racing betting tends to start focusing its eyes towards Cheltenham in March and, with Vroum Vroum Mag at 7/1 at the time of writing to win the World Hurdle at the festival, this is a good time to consider how Mullins might deploy his outstanding mares in March. Annie Power has definitely got her Cheltenham ghosts to lay to rest now. Her crushing tumble last year in the Mares' contest came 12 months after she had unsuccessfully attempted to win the World Hurdle. That was her first attempt over three miles and, tellingly, she hasn't gone over that far again since. Mullins charge travelled strongly in that race but was unable to get by More Of That coming up the hill. The sceptics will point to the only reverses of her 14-race career both having come at Cheltenham but any doubts about the track can be allayed by her win on New Year's Day 2014, when she dished out a comprehensive beating to Zarkandar. Last year's demise is forgiven as she appeared to jump a shadow approaching the flight and land more or less on top of the obstacle. Mullins has confirmed her well-being and she may go straight to Cheltenham. Given that she has been off injured, it seems implausible Mullins would attempt to win the World Hurdle first time out, making Annie Power the most likely winner of the Mares' Hurdle on day one. Vroum Vroum Mag, Mullins has confirmed, will either go for that same race or the World Hurdle. After arriving at Mullins' yard from France, Vroum Vroum Mag won her first six races in the Ricci colours – all of them over fences. 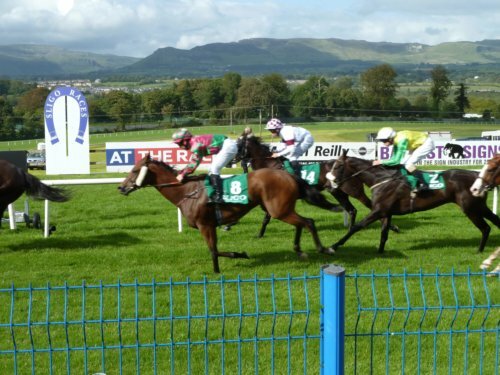 So it came as something of a surprise that she went over hurdles at Clonmel late in December, where she duly won in a common canter over two miles. Already a winner over 2m6f on heavy ground as a chaser, going three miles in the World Hurdle would appear to hold less questions for Vroum Vroum Mag than it did for Annie Power two years ago. That Mullins has decided to revert to hurdling with her could be deemed a by-product of the staying hurdles division cutting up somewhat this year. Colin Tizzard's Thistlecrack is an exciting prospect but otherwise the division appears to lack depth with a who's who of failed or ailing chasers making up the pack. The World Hurdle is one of the few pieces of Grade One property missing from Mullins' CV and it could prove more than noteworthy if he elects to send Vroum Vroum Mag in search of the prize in March.